Everybody has their own reasons as to why certain sports are better than others. However, it’s hard to deny how awesome of a sport field hockey is – at least, that’s what all of us at Revolution Field Hockey Camps think. We always make sure that we’re welcoming campers into a fun and positive environment, but your stay at camp is just (at most) a few days before heading back home to the teams where you spend most of your playing days with. 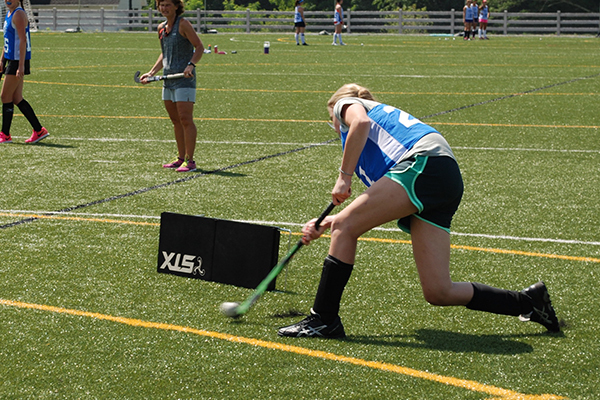 So, what makes field hockey so awesome outside of your time at camp? There are tons of reasons we could be listing, but we decided to take our five favorites and detail them below. 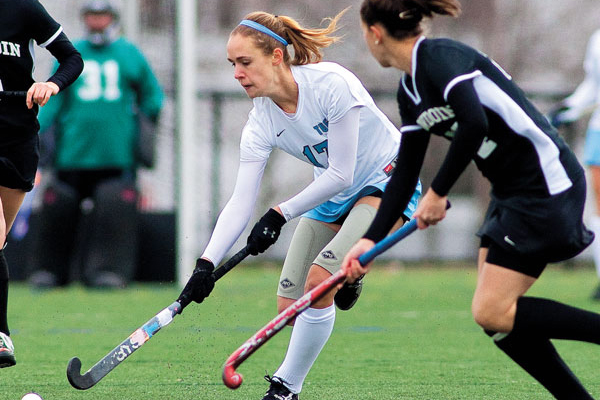 A tremendous amount of skill is needed to succeed in any sport, but field hockey is one of the most skill-based sports out there, as using a stick to move the ball around needs a high level of coordination — especially since you’re constantly on the move. There are a number of various technical skills to be successful on the field, with a few being the tomahawk, overhead, push, slap, flick, and 3D skills. If you ask any serious athlete where they’ve met most of their friends, they’ll probably say it’s because of the sport they participate in. The camaraderie is fantastic, and field hockey being a team sport ups the ante a bit. Learning the value of being a leader, working within a team and how what you do impacts others are all lessons that can be learned on the field hockey field, but taken with you forever. It doesn’t matter what your age, size, or gender is — literally anybody can start playing field hockey. It’s one of the few sports where males and females are allowed to participate together on mixed teams, too. Depending on the league you’re in, it’s actually possible for a teenager to play alongside a 40- or 50-year-old. While that may sound a little weird, it’s a great time to take advantage of an opportunity to pick the brain of a player who has experienced far more things on the field. Nothing worth having in life comes easy. The same can typically be said about scoring a goal in field hockey. The goal box is pretty small and goalkeepers put on plenty of padding so they can throw themselves in front of balls headed their way. Since you can’t score outside of the D, putting a ball in the back of the net means players must be precise in their shots, which adds to the whole challenge of playing this game well. It’s easy to just assume that field hockey isn’t all that popular, but the exact opposite is actually true. Without any promise of a professional league or a high-paying position to talk about stuff like this, field hockey is still the third-most popular sport in the world, only looking up toward soccer and cricket.